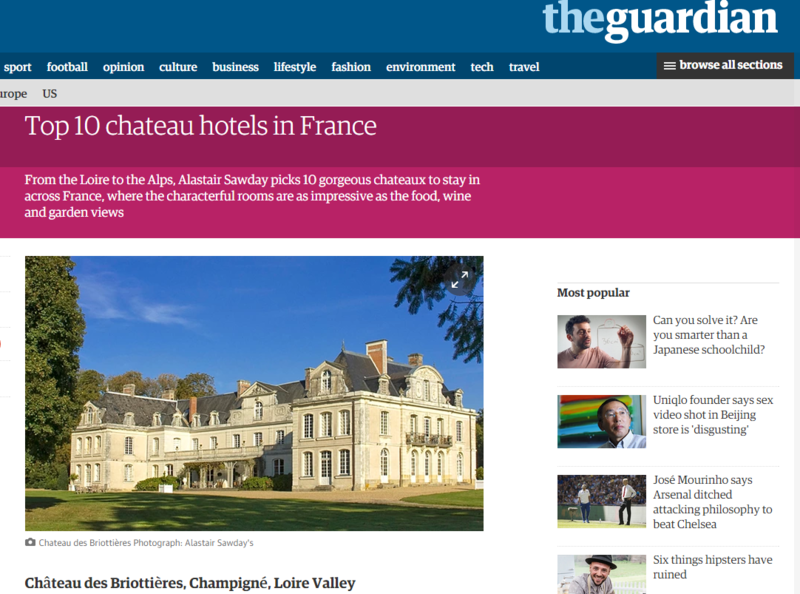 The Guardian, a renowned English daily newspaper, published a ranking of the 10 best chateau hotels in France: Briottières was in it! In this article, you will find some good ideas for travelling through our beautiful regions: from the Loire to the Alps, the journalist reviewed 10 magnificent residences for an unforgettable holiday. Within this selection, the newspaper has found some charming houses, whose walls, if they could talk, would have stories to tell. With a unique take, within, we also find a love of French cuisine, the calm of the countryside, and the refinement of traditional French decor. Share the post "Briottières in the Guardian’s top 10"